Since the end of the school year is approaching, the Indiana Mizzou Crew wants to keep you informed as to what we’ve been doing this past year. First we ask that you take our poll. We’d like your input so the board of directors can plan events you want. To take part click here. Also, we’re offering a Mizzou branded gift to a randomly selected person who joins the Alumni Associaton before June 25, 2017. You can join up online by clicking here. One of the greatest efforts of this organization is the ability to give an incoming student from Central Indiana a $1,000 scholarship renewable for four years. I’m sure all of you know how any types or amounts of scholarship money can make the difference in what school the student attends. Nowadays, books can cost upwards of one thousand dollars. Remember those days back at Mizzou when you were studying for finals? I know my consumption of caffeine went up. Due to memories of those days the Indiana Mizzou Crew decided to send current University of Missouri students from Indiana a finals care package. Thanks to current Mizzou senior Kara Glavin, we included various forms of caffeine along with granola bars and candy to help keep the students going while working to ace those finals. Here are some responses from the students. And Lillie Heigl tweeted, “The Indiana Mizzou Crew is the cutest chapter of @MizzouAlumni cause they sent a little love for finals.” You can see her tweet here . If these packages brought even the slightest help to our students, the Indiana Mizzou Crew is honored to have helped. We hosted four watch parties where alumni from around the state got together and cheered on the Football Tigers. Unfortunately they apparently didn’t hear us based on the scores of the games. 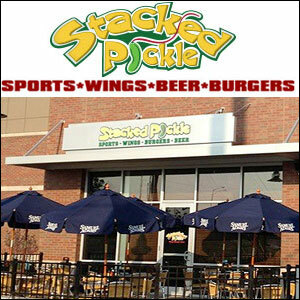 Our watch parties are usually at The Stacked Pickle near the IUPUI campus and include Mizzou related door prizes. Please join us this coming season. On December 4 Mizzou fans gathered at IUPUI to watch the Jaguars go up against the Lady Tiger basketball team. While they lost that game, they finished the regular season with a 21-9 record and clinched back-to-back NCAA Tournament berths for the first time since 1985-86. The Indiana Mizzou Crew celebrated Founder’s Day with a behind the scenes look at the book “MizzouRah: Memorable Moments in Missouri Football History.” Our guest speaker was our own Dan O’Brien, co-author of the book. He talked about conversations, among other things, with former players, quotes that never made it into the book. 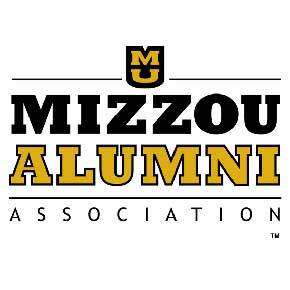 Are you a Mizzou Alumni Association member? If not, join us and become eligible for a Mizzou branded prize. Click here. The deadline for the prize is June 25, 2017.